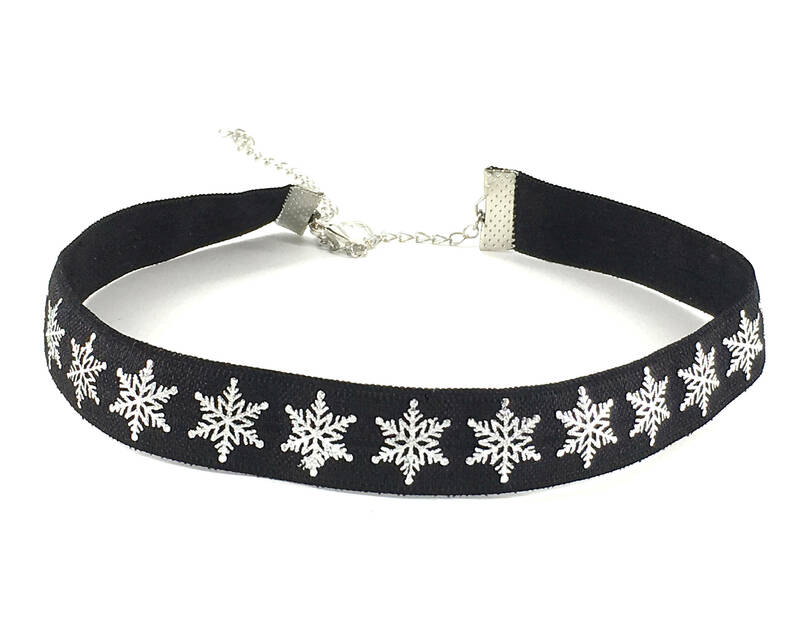 This festive holiday choker is 11 inches with a 4 inch extender chain. Stretchy and soft elastic is very comfortable. Custom sizing available upon request.